Imagine the damage that one little leak can do to your home. You want to find the leak as quickly as possible and get it repaired as quickly as possible. Fortunately, methods of leak detection in Los Angeles have come to the point where it is much easier to find and fix them before they cost you thousands in utility bills, repair bills, insurance costs, and stress. Electronic leak detection can help find the leak. You might suspect a leak if your water bill is suddenly higher than usual for no explainable reason. You might hear water running and wonder why. You might notice mold or mildew. All of these things are reasons to check to see if there are leaks. Electronic leak detection in Los Angeles will find the leak fast, faster than any other method, because this method doesn’t wait until the damage is done before it finds the leak. It’s not a new method of leak detection in Los Angeles or anywhere else. It is a method that has been available for a while, but it has been improving and refining until now. The smallest leak can be detected just by listening for it, like a plumber with a stethoscope. The computer equipment used for the detection has much better hearing than the homeowner or the plumber, so the electronic method can listen through the walls to try and hear any sound of water running that is coming from where it should not be. All leaks produce sounds, and the sounds have different acoustics, depending on the water pressure coming from the pipes. But leaks don’t only happen in pipes, of course. Leak detection in Los Angeles must include problems caused by rainstorms, flooding, and poor construction of windows, roofs, and ceiling membranes. Low voltage or high voltage leak detection is available, and if you are not sure what you need, then a plumber can help you. Now, imagine the money that you can save by calling a plumber who has the latest technology in electronic leak detection in Los Angeles and is using this method. 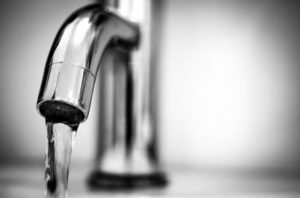 For one thing, a plumber who is sure of the location of the leak does not have to cut into the walls to check the pipes to see if they are wet. The plumber doesn’t have to try out repairs to see if they can fix the problem. The electronic leak detection method can pinpoint the leak, and the plumber can get the repairs done quickly. Insurance costs can be lowered by having a housing inspection done regularly so that the homeowner is aware of what is going on in the house and is thus alert to any sudden changes. If you want to ensure that any potential leaks in your home, whether they be from loose valves or a leaky roof, are found quickly, then talk to a plumber who has the proper equipment and knows how to use the latest technology in leak detection in Los Angeles. There are places where water is welcome and places where it definitely is not. Don’t risk your precious possessions being misplaced to water when leaks can be located easily with a call to Honest Plumbing. Learn about how they can help you keep everything working as it should be today.